Имате въпрос към Eka Beach B & B? Разположен в чудесния район Унаватуна Бийч, Eka Beach B & B заема удобно място в ресторанти, романтика, плажове център на Унауатуна. Хотелът се намира се на 9.6 km от центъра на града, поради което неговите гостите могат безпроблемно да се наслаждават на всички градски атракции. С удобното си местоположение хотелът предлага лесен достъп до всички градски забележителности, които задължително трябва да се видят. Съоръженията и услугите предлагани в Eka Beach B & B гарантират Вашия приятен престой. Хотелът е оборудван със съоръжения като 24-часов рум-сервиз, безплатен WiFi достъп във всички стаи, 24-часова охрана, ежедневно почистване, индивидуално настаняване/напускане. Дизайнът на хотела е съобразен с най-високите изисквания за удобство и комфорт, осигурявани от съоръжения достъпни в някои стаи като достъп до интернет (безжичен), безжичен интернет достъп (безплатен), климатик, отопление, събуждане. Хотелските съоръжения като частен плаж, риболов, масаж, градина, водни спортове (немоторизирани) са идеално място за почивка след тежък и уморителен ден. Когато търсите удобно и комфортно място за настаняване в Унауатуна, изберете Eka Beach B & B, който ще се превърне във втория Ви дом. Some friends had stayed here 5 years ago and I really fell in love with their ocean front room. However, the room is very very tiny - barely enough room to walk around bed. It's great for a single person but would be tight for 2 people. The breakfast is amazing and the staff were very helpful and friendly. But I thought it was a little overpriced for the size of the room. Best stay in Sir Lanka for our family of 4, 2 adults and 2 small children. We couldnt ask fore more in this small and personal B&B. Beforehand we put a lot of thought in the decision whether we should stay in Galle itself or directly at the beach and if so, where precisely. We finally went for the EKA Beach and our choice could not have been better! Absolutely stunning small hotel. We had the room right at the beach and that means literally right at the beach. You cannot swim in front of the hotel but that means that there are no foreign tourist, who lie at “your” beach so have it for yourself. The hotel has just 4 rooms. + the ocean can be seen and heard from your bed +++ wonderful, freshly prepared breakfast +++ the owner Andree was lovely and was happy to assist with everything +++ amazing staff + beach lounger, hammock etc. + Galle is 20 minutes and 3-4$ away by tuc tuc + the room has air con and two fans Only downside in our opinion was the lack of a fridge (there are rooms with fridge). And yes the rooms are small but we had two very big suitcases and could handle them very well. Really amazing location right on the beach front. Very calm and peaceful place. 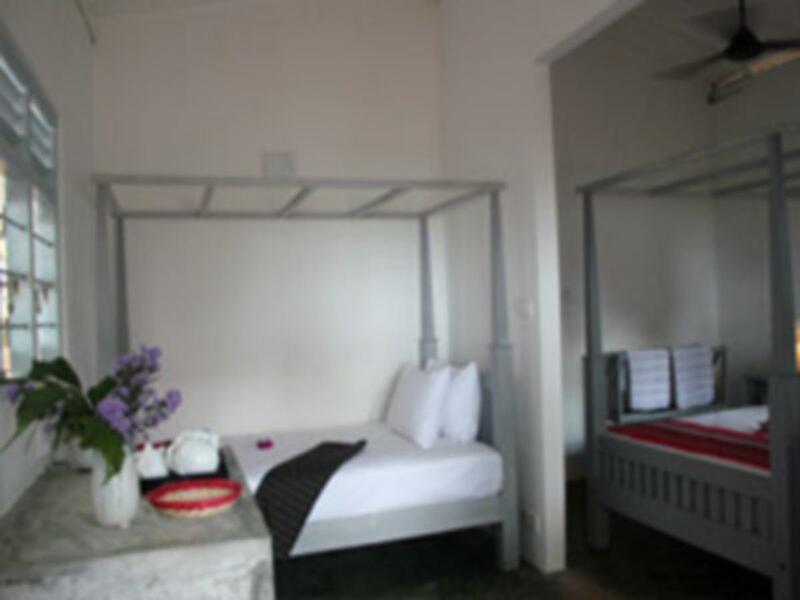 The rooms are small but very cosy and the seaview room is only a few meters from the water. Only a 15 minute tuk tuk to Galle and close to some really good restaurants. The breakfast was the best we had in Sri Lanka with a huge amounts of fruits and good options. Staff were all extremely polite and helpful. Would highly recommend it. Just be aware in case you're a light sleeper that the seaview room is very close to the ocean so the waves can be quite loud at night. It's a small thing but just to be aware. Our stay was very nice and comfortable. Due to miscommunication additional small fee was charged on top. Can't recommend this place enough. Andree was very kind and welcoming and it's a perfect location for visiting Unawatuna and the surrounding area. We spent one week at Eka beach with our 4 and 8 years old kids. We were in Triple Deluxe room and fitted really well in there. Everything was truly amazing - the host Andree, staff, setting, breakfast, quiet beach, tuktuk driver Nihal - just perfect. There was really nice beach (Mihiripenna) with a calm lagoon and good restaurant Wijaya just short walk away. Would highly recommend for all travellers! Lovely rooms next to the sea. The beach is beautiful and a great place to spend the day. A short Tuktuk ride from Unawatuna which has plenty of restaurants. The breakfast fruit platter was excellent. Breakfast was excellent, I really miss it! It was so nice to relax on the sun bed and watch the ocean and try to spot the sea turtles. Beautiful and quiet beach. 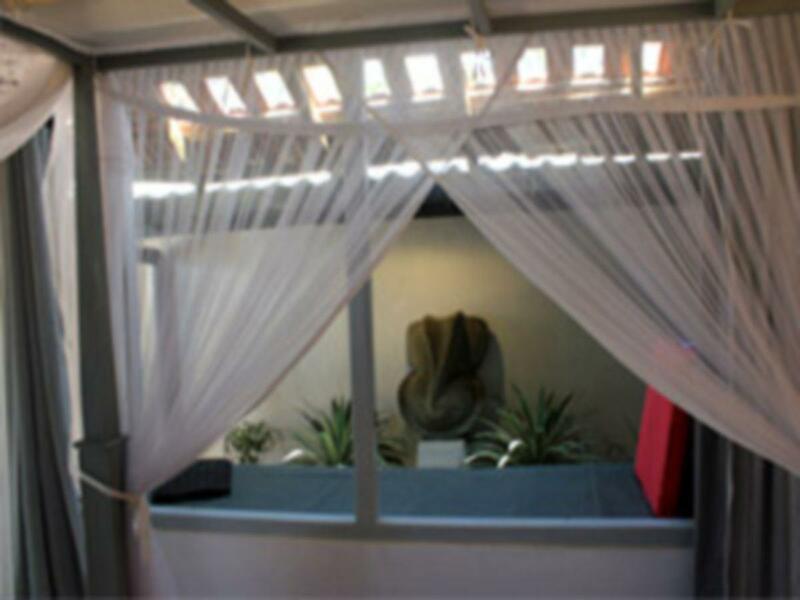 The staff and owner were very helpful and friendly. I will definitely return if i come back to Sri Lanka. Nice accommodation on the beach. I loved my stay here at this delightful spot on the beach , just south of main strip so really quiet and peaceful but close enough to get to other spots. The staff are wonderful - really caring . The breakfasts and cafetiere coffee in mornings are fantastic. The proprietor is really helpful with planning trips . I will definitely plan to go back ( with family next time ) and would highly recommend. Swim with the turtles literally walking from accommodation onto beautiful beach. we took the room with the sea view though it was small, it was really cosy. and sleeping at night with the sound of crashing waves right next to our window is simple beyond words can describe. we loved our stay here. the beach is really clean too. Unbeatable Location the ocean was literally right outside our room. The room was small but everything was perfect. Air conditioning worked well. Nice lounge area outside the room. Watched the sunset right outside our room. WiFi worked fine in the room. 2 min tuk tuk drive to Unawatuna Beach. Breakfast was amazing!! Fresh tropical island fruit every morning with Curd (yoghurt). Great coffee and nice range of eggs made to your liking. The perfect place to relax and enjoy nature, beaches and good food. I totally enjoyed my stay is Eka. I spent most of my free time at Eka’s sun basking and reading book. Eka is a great place where you can see turtles near the shore at 5pm onwards for free! And it’s near the famous swing (dream cabana hostel) they charged 500lks. U can swing till your hands feels tired haha. It’s also near GALLE like 10mins tuk tuk drive. And the owner is Eka , Andree king, she is so friendly and never fail to recommend the best places and best cheap massage places So awesome! I love her staying at her place it’s so homely well decorated, amazing breakfast (FRESH)! Eka is on its own little stretch of beach that feels almost private and is well away from the noise and slightly Thailand feel of Unawatuna. Room on the end with the beach and sea view is a bit on the pokey side but this doesn’t detract from the location, which is what you are paying for. Staff nice guys and the proprietor is friendly and helpful. Worth a stay if you find yourself near Wijaya and don’t want the bustle of Unawatuna. this was the perfect little b&b to stay at, the owner and the staff are both super friendly and accommodating! it's right on the beach, and the beach isn't crowded with restaurants and people, it's quiet and serene. we spent 4 nights here, and every morning we're woken up for breakfast of fresh fruits and fresh eggs n toast made any way you like! as we are late risers, the staff waited for us to wake up instead of 'closing breakfast'. brilliant service. the shops and all are a mere 10 mins away by tuk tuk (closest beer shop is 5 mins away ;) they arrange a tuk tuk driver for you as well who doesn't rip you off. all in all, everything was great here, would definitely recommend and will visit again! Perfect quiet location right on the beach. The views, breakfast, staff, service, EVERYTHING was perfect. We love it and wish we could have stayed longer. EKA Beach B&B is a place with an amazing soul and atmosphere. The style and design is so well done and reminds you of a summer house or beach cottage. Every detail is thought about and the rooms are very clean. Andre is a fantastic host and her presence and talkative nature made our stay a very personal experience. And not to forget - the breakfast was overwhelming and the best we had in Sri Lanka. We will definitely come back.